first for over 120 years. 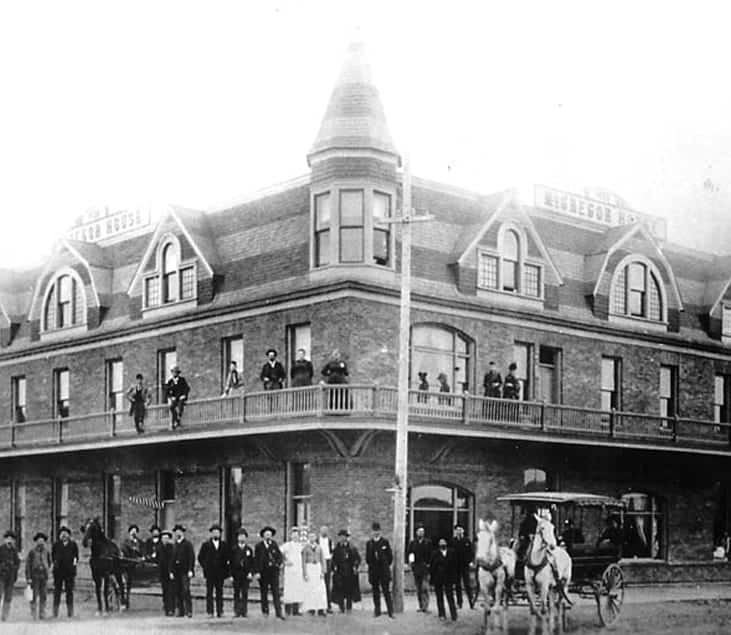 Dr. Charles Gritman purchased the McGregor House Hotel, located at 7th and Main Streets in Moscow, and converted it into his hospital. Seen in this historic photo are his staff and famous horse carriage which he used to make rural house calls. The Gritman story dates back to the turn of the 20th century. When Dr. Charles Gritman first arrived in Moscow in 1893, he began providing dedicated care by horse and buggy to people in the community. Four years later, the original Gritman Hospital opened in the former McGregor Hotel at the corner of 7th and Main Street. The hospital would go on to set the bar for exemplary health care services in the Palouse region. Following Dr. Gritman’s death in 1933, Mrs. Bertie Gritman, his wife and a hospital nurse, gave the hospital to the community under the condition that it always bear Dr. Gritman’s name. By Dr. Gritman’s example, our organization has continued to uphold the Gritman promise over the past 120 years, providing exceptional care close to home. Through generations of service to the community, our name changed from Gritman Memorial Hospital to Gritman Medical Center in 1991 to better represent the growing breadth of hospital services offered. While the original building is no longer in use, our health campus has expanded to include our main patient care wing (opened in 2004) and our newest facility for health specialties and services. This 54,000 square-foot facility opened in 2017 across the street from the hospital. Pictured above: Historic downtown Moscow with the early Gritman Hospital—the former McGregor House Hotel—located on the southeast corner of 7th and Main Streets in the bottom right of the photo. Today our facilities, health professionals and staff represent a vital presence in the community. As our region has grown, Gritman has continued to lead the way in a rapidly changing health care landscape. True to the spirit of our founder—Gritman remains committed to making the region a vibrant, healthy place to live and work for generations to come.